We offer a comprehensive range of grass cutting and lawn care services and are available for regular maintenance or single sessions in Earls Court and the nearby areas. “Why should I book you?”, you may ask. Actually, the list of reasons is quite long – we are hard-working and motivated to deliver 100% satisfaction to all domestic and commercial clients, who reach us. We use the latest equipment and mowers in the trade which allow us to mow lawns of all sizes. No one can beat the diligence and professionalism of the gardeners we work with. And don’t let us start on our prices – they are the best you will find in SW5! Having your grass cut by professionals will improve the overall appearance of any property, be it a residential or commercial one. If that is what you want for your home or business, make sure you contact us to book our grass cutting services in Earls Court. Being the professionals that we are, we pay attention to the most minuscule details. 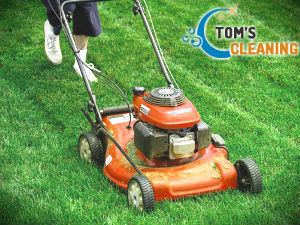 The team we will send to your property will not simply cut your lawn’s grass. They will diligently trim the sections around trees, fences, walls and arbours, and edge around your driveway to ensure your lawn looks at its best. Many companies skip on clippings’ disposal altogether or simply overcharge with additional fees for this job. Not us! We will readily dispose of all clipped grass, so you don’t have to deal with it on your own. 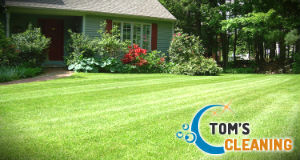 As an established gardening contractor, we offer an extensive lawn care program as well. It includes spraying with specialised, yet safe repellents to prevent weeds and pests from taking over your lawn. If necessary, we will re-turf any withered spots, fertilise existing vegetation and aerate your soil, so that your lawn grows healthy and dense. You are a mere phone call away from having your lawn mowed to perfection! Contact us to request a free quote for our grass cutting service in and around SW5 London and become one of regular customers!